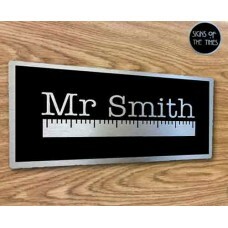 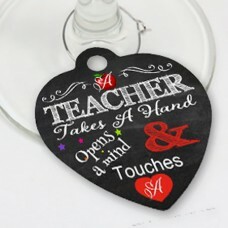 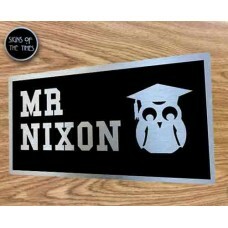 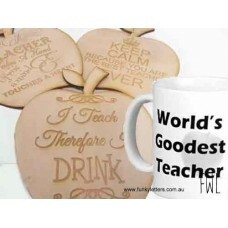 Timber coaster for that special teacher in your life.They are made from 3mm Hoop pine and are approx.. 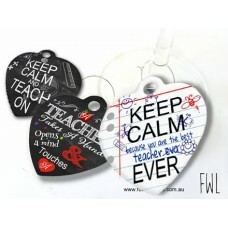 Durable aluminium wine charms printed in vibrant colours and designs personalised with your nam..
Buy one or more for extra value of our teachers wine charms. 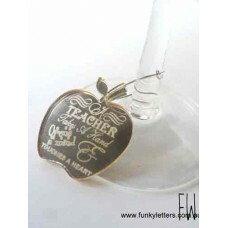 4 cute little sayings on each appl..